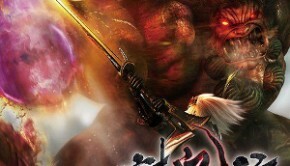 Nioh, the PS4-exclusive action game from Team Ninja, has seen a positive reception, with critics praising its setting and level of difficulty. Composer Yugo Kanno took the helm on this soundtrack. Well-known for his work on rain, as well as number of anime films and tv shows, Kanno blended together several styles for Nioh to create the music of the dark, unforgiving world of the game. I have to begin by talking about some of Nioh’s weaker moments, since the album doesn’t begin on the strongest note. Full disclosure: I went into this album with very low expectations. I am not a fan of much of the Dark Souls music, and after seeing Nioh compared to the Souls series on multiple game reviews, I expected similarly dreary and heavy sounds from Nioh. To be fair, it does have its fair share of weight, but if we’re going to compare it to FromSoftware works, it reminded me more of Bloodborne than of anything from the Souls series. The opening track – appropriately titled “Opening” – briefly runs through multiple themes on the soundtrack without lingering on any of them long enough to make a significant impression. “Freed from this Mortal Coil” features a surprisingly beautiful pipe with a heavy Eastern flair. It isn’t until we get to “Prologue”, that we hear a hint of what the bulk of the score has in store for us – a haunting – but accessible – melody with a thematically rich accompaniment. Nioh has many great qualities, but its track naming conventions are not one of them. Themes repeated in different contexts, or parallel themes (two unrelated area themes, for example), are distinguished by numbers. Put frankly, remembering the difference between “Ayakashi I”, “Ayakashi II”, and “Ayakashi III” is difficult, and part of the difficulty in reviewing this soundtrack was trying to hunt down themes I had heard previously. Don’t let the names fool you – there is some great content embedded in these Roman numerals. The battle theme (“Battle”) contains some surprising electric guitar lines that sound appropriately out of place – while the percussion, notes, and general pattern of the track blends into much of the soundtrack, the guitar really makes it stand out as being unique in the middle of such a string-heavy score. Speaking of which, the string writing in several of these tracks (“Battle” included) reminds me a lot of some of the antagonist themes in Princess Mononoke. “Ayakashi I” is also packed with energy – more acoustic this time – but has an ominous theme in the higher strings that also sounds rather Hisashi-influenced. As far as I can tell, similar names don’t necessarily indicate identical themes. There may be some harmonic parallels, but if that’s the case, it’s certainly not obvious. “Ayakashi II” is very distinct from both “Ayakashi I” (not an especially notable track) and “Ayakashi III”, which is one of the album’s highlights. Opening dramatically with punctuated strings and shrill vocals, the melody that follows in “Ayakashi III” is powerful and heroic and very memorable. The battle themes also differ significantly. “Battle I” through “Battle IV” all use a different combination of instruments – some are brass-heavy, most are string-heavy, and “Battle III” uses vocal sections that are almost unsettlingly strong. A few of the tracks do unfortunately fall into the “filler” category. Tracks like “Crisis”, “Disquieting”, and “Mysterious” all take very different approaches to the score but fall into the same trap. They each sound like generic soundtrack tropes without standing out in their respective genres. “Crisis” is a fast-paced climatic piece, “Disquieting” is four minutes of, well, disquieting dissonance, and “Underground” has some brief moments of thoughtfully crafted texture, but altogether doesn’t offer all that much substance. 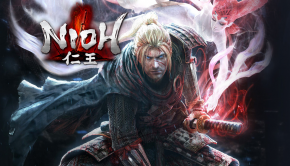 It’s forgettable, especially when compared to some of the themes that show up as Nioh continues. For one, the region themes are great. “Region II – Chugoku” is a lament on flute with just enough accents from other instruments to keep the piece moving. “Mysterious” is another slow piece with very similar instrumentation, but less mournful, especially about halfway through when the piece gains some energy for a more hopeful twist. One of the closing tracks, “Saoirse”, is so beautiful and bright that it almost sounds out of place. The pair of “Okatsu” themes on the album (“Okatsu I” and “Okatsu II”) are also rather catchy. The first version is much lighter and more mystical, with a few select instruments from various categories coming together to create a little chamber ensemble. The second version is in a higher key, lower octave, and performed by a much fuller orchestra, resulting in a more driven affect. My personal favorite theme of the album is “Alchemists”. There are two iterations of this track (titled, of course “I” and “II”) – one is presumably a character version, and the second a battle version. My favorite aspect of the theme is its simplicity – the core of the theme is essentially a slow walk across a scale with a few additional notes thrown in at the end. The first version of the theme is incredibly slow, which adds to its imposing sound. The second version of the theme is much faster, and is just a fantastic battle theme. 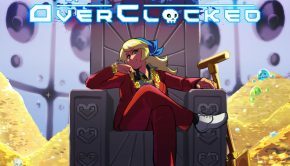 While the theme itself is not too much faster, the rhythm has picked up, and a few wild violin sections have been thrown in for dramatic effect. It works. So many of the tracks on Nioh stand out for various reasons; what I think binds the album together very well is Kanno’s careful use of melodies. Because each melody, like “Alchemists”, is so simple, it doesn’t take much for two different melodies to have a lot in common. “Ayakashi” opens with a step-by-step scale that, had the notes been repeated, would have been a nearly-exact version of the “Alchemists” theme. 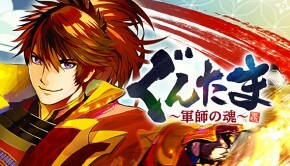 “Nobunaga Castle” combines the “Alchemists” theme with the theme of “William”, another notable track on the album and the protagonist’s main theme, in a haunting waltz. “William,” in turn, uses elements from the “Mononofu” tracks, with several of the notes in the main melody centered around a minor triad. 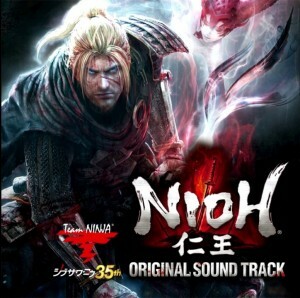 Additionally, the Nioh Main Theme, featured at the very end of the album, is a triumphant realization of “William”. For several of the repeated themes on the soundtrack, I’m not sure if they’re intentional or not – so many of the themes are centered around four-, three-, or even two-note motifs that it’s hard to tell what has been deliberately planned. Even if it wasn’t, Kanno’s adherence to simple melodies is certainly intentional, since each of the themes seem like such natural progressions or variations of each other. All in all, Nioh is packed with content. Some of the content misses the mark, while other parts set a high standard for future soundtracks in this genre. There were several tracks that I glossed over upon my initial listen of the score, and it was only when I listened more closely to those tracks that I found how much I enjoyed them. Listening to the full score straight can be daunting – it can be very heavy, and after a few tracks, it’s reasonable to want to set the music aside and listen to something else for a while (or listen to nothing at all). That being said, the strong points of the album are fantastic – and there are lots of them. I’ve been enjoying selectively recommending tracks to friends over the last few months, and would certainly at least suggest a run through of highlights for anybody who’s been eyeballing the album, if not the full soundtrack. Posted on October 10, 2017 by Emily McMillan. Last modified on October 10, 2017.